It's a Boy Balloon Bunch 34"
Spell out the word ‘it’s a boy’ with this set of 4 blue 34 inch foil balloons. It will add a touch of creativity to your baby boys baby shower. 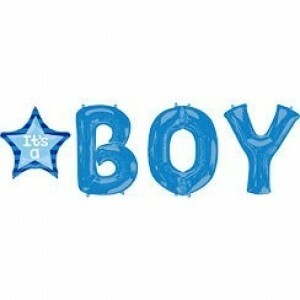 The pack includes a baby blue and royal blue foil star that says ‘it’s a’ and three giant 34inch foil letter balloons to spell ‘boy’. 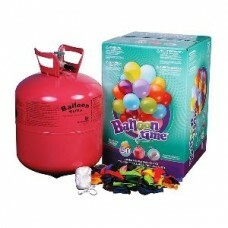 this product is only to be filled with helium, Please see our range of disposable helium canisters.